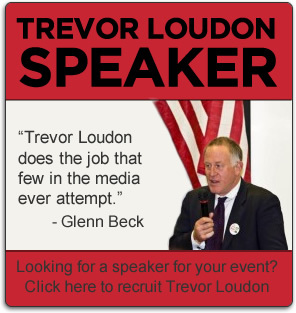 Trevor Louden, New Zealand author, speaker and political activist. 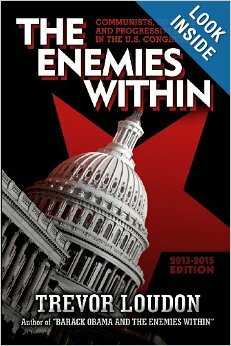 In his book, “The Enemies Within: Communists, Socialists and Progressives in the U.S. Congress,” Loudon names over 50 members of Congress who have radical connections to America’s adversaries. He discussed Reps. Judy Chu, John Conyers and Rosa DeLauro. Trevor Loudon’s soon to be released “The Enemies Within: Communists, Socialists and Progressives in the U.S. Congress” is like no other book written on American politics. Trevor is an activist and political researcher from Christchurch New Zealand. He believes in freedom with responsibility, not freedom from responsibility. His ideal society is one in which government is confined to protecting its citizens from criminals and external enemies and he believes in working with all those who are moving in broadly the same direction. Trevor is also the founder and editor of KeyWiki.org, a rapidly growing website with the goal of unlocking the covert side of U.S. and Global politics.